Welcome to the eighty-first episode of Kidmin Talk, the webcast show hosted by Karl Bastian, the Kidologist. Listen here on Kidology or subscribe via iTunes to listen on-the-go with your iPhone, iPod, iPad, or other mobile device. 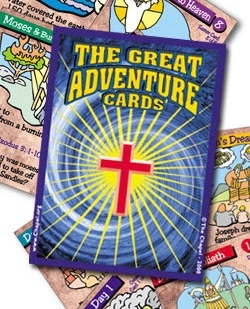 SPONSOR: This episode is sponsored by THE GREAT ADVENTURE CARDS! Provide Bibles kids will love like The Adventure Bible or the Action Bible ESV Study Bible, etc.